Lustrous wax-based metallic finishes for antiquing, crafts and decorating. 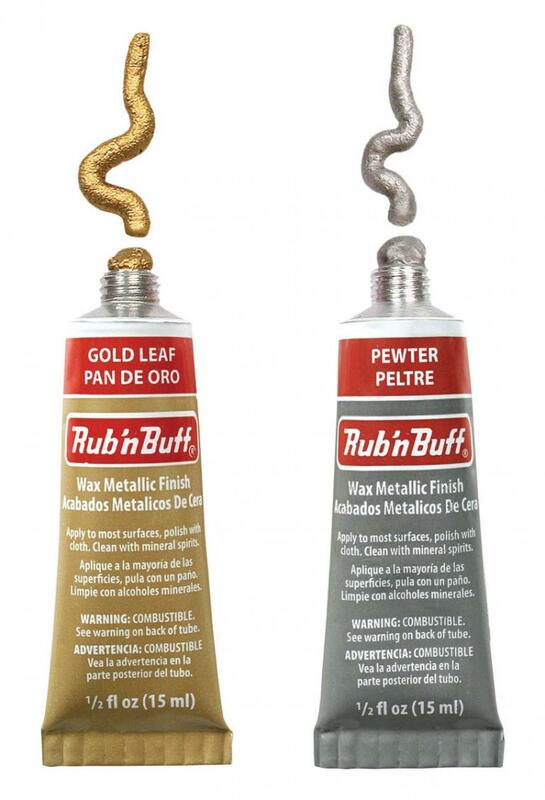 Formulated from Carnauba waxes, fine metallic powders, and select pigments for a finish no paint can duplicate. Simply rub onto a surface with finger or soft cloth, then gently buff to a beautiful luster.